If you are lucky enough to get out the office, you will know that the word “Summer” can pop up from time to time, when that big ball of heat shows it’s face for a few days in the year. 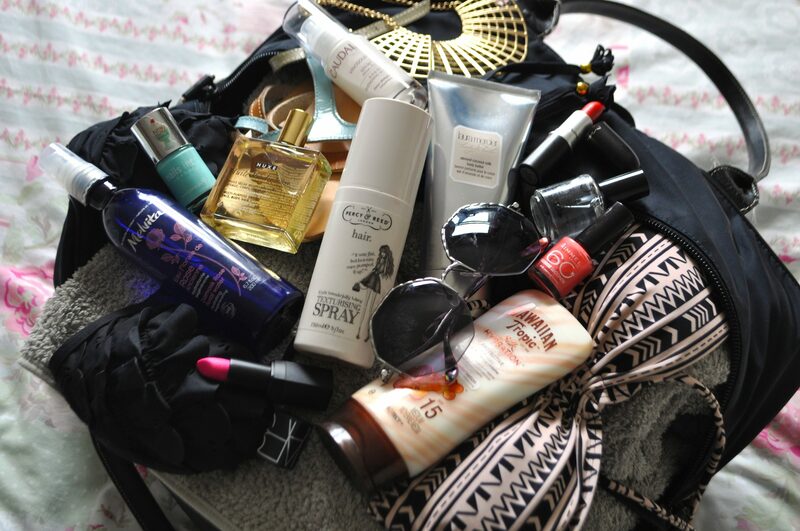 If you are luckily enough to be jet setting off anywhere lovely and hot, these few beauty items may just make it into your luggage. But if you are like me… and well, your stuck with the South’s finest weather for the next few months, these products will keep you in high spirits as they will keep your body looking and feeling beautiful! My bag contains a whole pile of towels, which actually are only there for decoration along with a few fab bargain bikini’s from Primark that although, you could wear in here, be warned everyone will look at you as the crazy lady! Flesh doesn’t seem to grace the streets much these days, apart from the odd builder here and there. Back to beauty!! 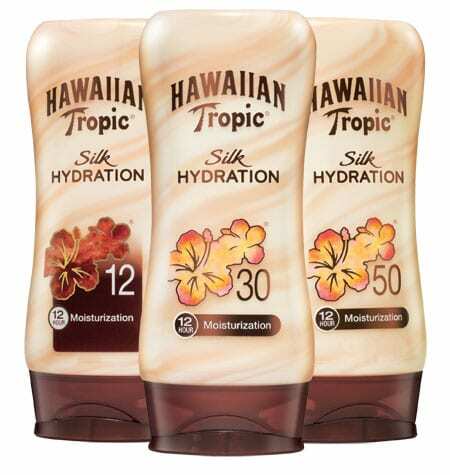 My number one must have is Hawaiian Tropic Silk Hydration sun tan lotion. 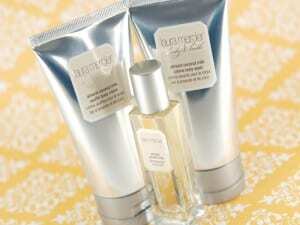 Whether the sun is hiding behind the clouds, you must, must, must protect your skin. I have such fair skin, so with any bit of heat I frazzle. I would usually wear at least factor 30 but if for some of you that is too high this sun tan lotion will sort you out too. Silk Hydration is a fantastic sun tan lotion, as it has a unique ‘duel ribbon’ (tasty enough to eat in my eyes) that not only protects your skin but also keeps your skin soft and hydrated. Worst nightmare: flaky, dry skin! However, if you do suffer from dry skin in the summer, I love to use lots of rich and luxurious body lotions to keep you hydrated. Laura Mercier’s delicious Almond Coconut milk body butter, oozes that holiday scent with hydrating ingredients such as Shea Butter and Honey, with an added cooling agent Aloe Vera, that keeps you hydrated If you prefer something quick and easy Nuxe Huile Prodigieuse multi-purpose oil is great for the skin, with ingredients such as precious plant oils helping your skin to stay soft. You can also use it on your hair, if you find your hair to be a tad dry. But a word of warning, these do not contain SPF, so make sure you top up with suntan lotion, on top of your moisturiser if you’re heading back out to the sun! For my face, hydration is a must. I have recently fallen in love with Caudalie Vinosource S.O.S Serum that cools and soothes the skin after a warm day. I use it all over my face after cleansing and toning, which lets all be honest, rarely happens when your on holiday as you want to keep on that precious tan or lack of in my case. If you are quite lazy with your skincare routine, buy simple and easy products such like Melvita’s floral waters, which you can use to keep you hydrated on the beach or you can use it as a toner. The scent of the Damask Rose water is heavenly.